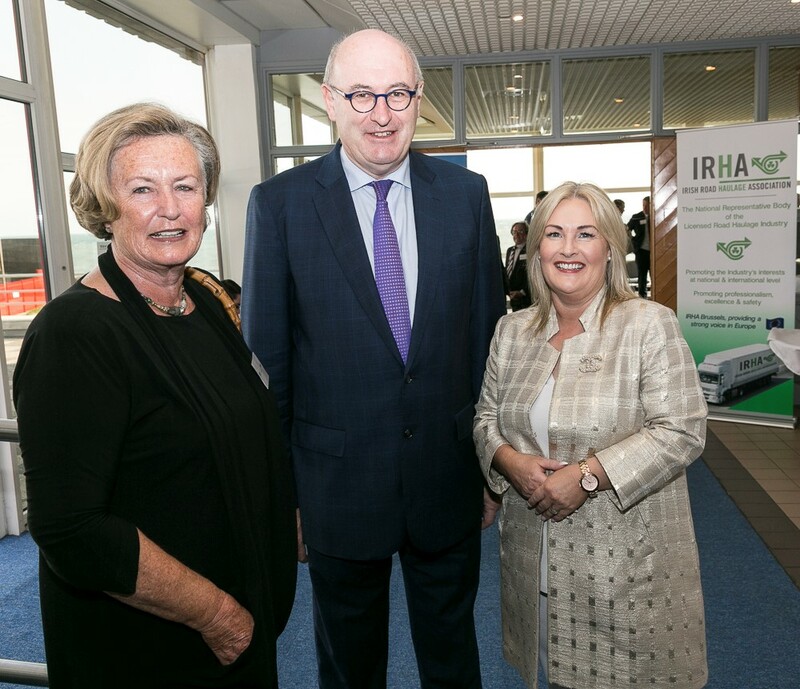 Speaking on Monday at a special conference on Brexit organised by the Irish Road Haulage Association and Rosslare Europort, entitled “keeping trade flowing” he added that, in preparing for a hard Brexit, the Irish Government need to consider the sea port capacity to ship freight directly to France. He said that Ireland cannot worry about what preparations are in place in UK ports. Commissioner Hogan was highly critical of the lack of workable proposals coming from Westminster and said that “the latest episodes of the Brexit reality show have shown us Prime Minister May battling with the mutineers, and the mutineers battling with each other. This means that, less than two weeks out from a key meeting of EU leaders which is supposed to settle this very question, we are no closer to the UK converging around a real, workable solution”. Verona Murphy, President of the Irish Road Haulage Association speaking at the event said that “Brexit is often talked about in terms of an event that will happen in 2019 but won’t really have any impact until 2021 or later. For the licensed Road Haulage Sector in Ireland Brexit is already biting and the impact is absolutely frightening. We need to be Brexit ready now and the Irish Government and State Agencies need to plan for a hard Brexit given the political uncertainties in Westminster”. Economist Jim Power, who also spoke at the conference, said that the environment for the haulage sector has become more difficult and more volatile due to intense competition and numerous cost increases and face considerable challenges due to Brexit. However, he said that Brexit may also provide opportunity for the South East of Ireland, particularly in the potential development of Rosslare Europort.